All kids are invited to enter the Easter Artwork competition at the Not So Royal Easter Show. Please present an artwork in any medium (including drawing, painting, a model, cake decoration) that links to a theme from the Easter story in the Bible. 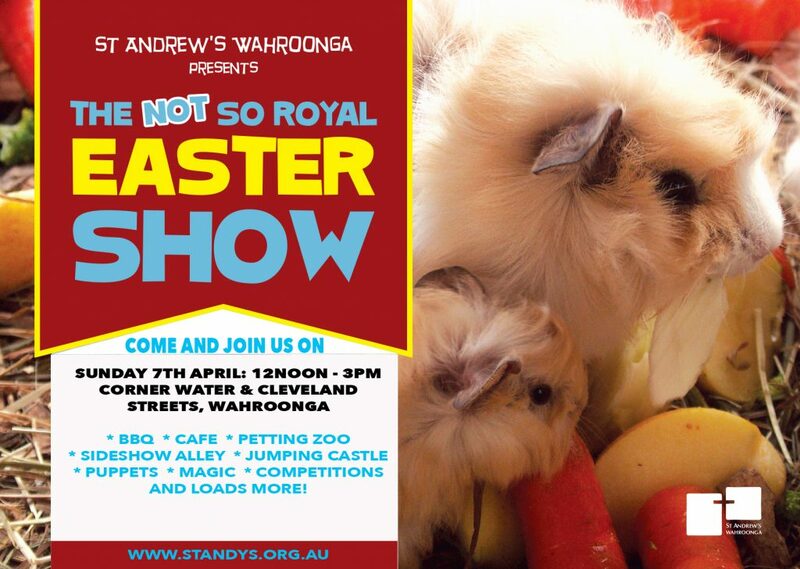 Bring the entries to the church foyer before 12:30pm on the day of the Not So Royal Easter Show.